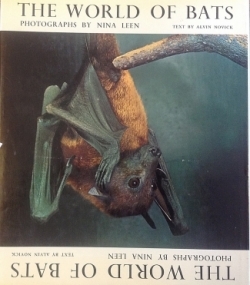 An unprecedented study in bat behavior. Large format book full of color photographs. Out of print first edition, 1969 with dust jacket, fair condition. Photos by Nina Leen, text by Alvin Novik. Signed copy reduced to $100.00. Other copies available at $60.00.